We aren’t sure we’ve ever been this excited! Who's ready for a full week of mermaid adventures in paradise? 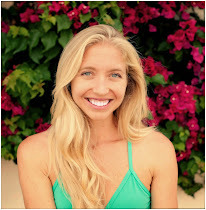 With the incredible connections formed by the recent Mermaid Yogis challenge on Instagram, we decided to create a totally amazing, one of a kind, Magical Mermaid Yogis Mexico Retreat hosted by Stoked Yogi founder Amelia Travis, and Zen Girl founder Mandy Burstein and sponsored by our favorite wild dreamers, the babes over at Teeki. What started as a simple conversation – how amazing it would be to connect with all of these inspiring women in real life – has become a reality with our November retreat to Sayulita, Mexico for 8 days of surfing, stand up paddle boarding, yoga, and radical lifestyle inspiration and transformation. Limited rooms available; reserve your spot here. your meramid yogi retreat guides: Janalyn Yanover (horizonlightphotography), Amelia Travis (stoked_yogi) and Mandy Burstein (@zengirlmandy). This bohemian gypsy adventure will take us to Sayulita, Mexico – where we will nourish ourselves, indulge and explore, breathe it all in, and love it all out. Eight days of yoga on land and sea with your fearless mermaid leaders, equipped with everything you need to dive fully into the present moment. Immerse in local culture and get an insider’s guided tour of all our favorite secret spots. This retreat is designed for the adventurous mermaid yogi who believes in being barefoot and sun-kissed, lives by the sun and loves by the moon, and finds joy in venturing outside her comfort zone with a heart full of wanderlust. Day 1 ~ Saturday November 8: Airport pick-ups at 4pm. Arrive, check-in, relax. Welcome circle, sunset yoga and swim. Welcome dinner and cocktails with your new tribe of amigas. Day 2 ~ Sunday: Morning yoga & meditation. Boat trip to Marietas Islands for an eco-adventure day of snorkeling, stand up paddle and SUP Yoga! Group dinner on the beach with bonfire and drum circle. Day 3 ~ Monday: Morning yoga, open day, option to surf La Lancha with Amelia or fill your heart with a community service project with Mandy. *optional Midnight Temazcal ceremony with a local spiritual guide - this incredible sweat lodge experience will purify and open our hearts and minds. 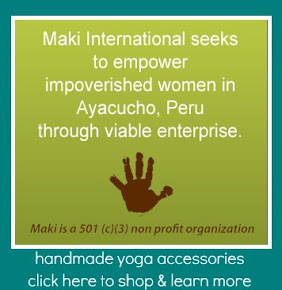 Day 4 ~ Tuesday: Morning yoga & meditation, Mala making workshop with Amelia, afternoon road-trip to Punta de Mita. Get clean and gussied up #nostretchypants style for a fancy group dinner on Anclote beach. Day 5 ~ Wednesday: SUP Yoga class, optional SUP surf session, paddle to La Corona, cliff jumping to bring out your wild side! Road trip over to the adorable village of San Pancho for shopping and sunset dinner in town. Day 6 ~ Thursday: Hike to jungle sanctuary Alta Vista, visit and pay respect to the indigenous Huichol tribe, then soak away at our favorite secret jungle hot springs. Bask in the glow you've cultivated over the past week with your new mermaid familia. Day 7 ~ Friday: Final day in Sayulita. Lots of open time to explore town and get in one last SUP Yoga class or surf sesh with Amelia & Mandy. Grab a flower crown and get pretty for our Farewell Dinner and cocktail party at a secret jungle location. Dance the night away with your fellow mermaids at the famous Friday night cumbia party on the beach! Day 8 ~ Saturday November 15: Morning yoga and green smoothies, head to airport. Hug, kiss, cry a little. Say "See you later" instead of goodbye, to your new tribe of sisters. Go home salty, sandy, sun-kissed, and stoked. Every day, we will provide breakfast of green juice, smoothies and snacks, as well as a group dinner. All lunches are left open for you to explore the village! Breakfasts and dinners will all include vegetarian options and will be designed to cultivate health and vitality. Our home for the week is nestled at the north end of Sayulita, the crown jewel of the Rivera Nayarit coastal corridor. Hailed as a popular, yet off-the-beaten-path travel destination and a mecca for surfers of all ages, Sayulita offers its visitors and residents incredible beaches, lush jungles and a taste of rural Mexico. From art galleries to live music nightlife, Sayulita has something for everyone. Holistic healing is available at the local spas, and the flower child fashionista will find shopping to suit even the most eclectic style maven. This retreat will be more than a vacation – this is a lifetime experience to connect with soul sisters from all over the world – to swim naked in the ocean at midnight – to let loose and roam free with sand in your toes and salt water running through your veins. 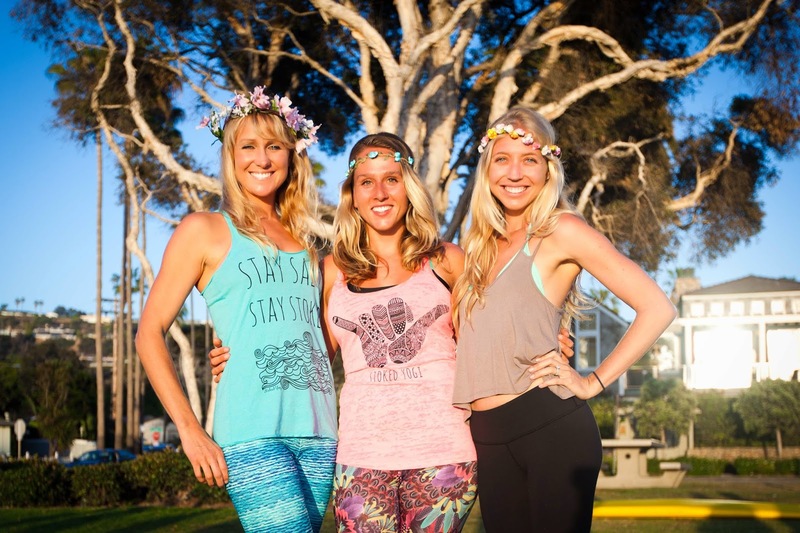 Our mermaid sisters from Teeki are coming along and providing yoga wear to take us wherever our adventure may lead! A Teeki gift bag, suncare from Raw Elements suncreen, and a few surprise retreat essentials will be waiting for you when you arrive. Fly into Puerto Vallarta airport (PVR) on Saturday, November 8 and be ready for van pickup at 4pm. Fly home after 10am on Saturday, November 15. Everything except lunch and airfare, in short. Green juice, breakfast, and incredibly delicious dinners made with fresh, local, organic ingredients. Accommodations, transportation, all daily activities (stand up paddle boarding, surfing, yoga, mud baths, etc. ), VIP Teeki gift bag with sun shorts, leggings, swimwear, Raw Elements gift pack, Stoked Yogi tank top and hat, all photos and videos (professional photographer), and memories that will last a lifetime – guaranteed. Airfare. Lunches. Shopping sprees. Drinking binges. Regrets. Duh. We totally knew that would be your next question. Click here to reserve your space online with a $900 deposit. The remaining balance is due 30 days prior to retreat.